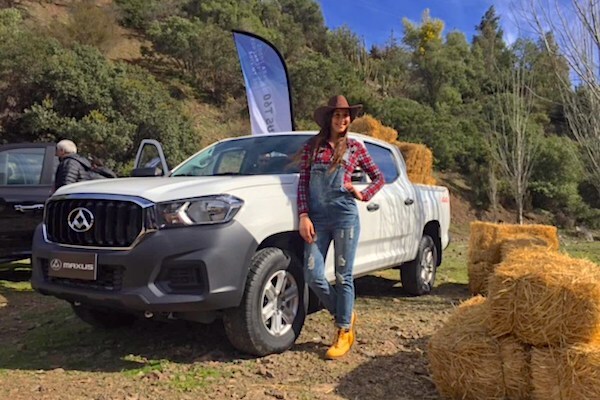 Thanks to the new T60, Maxus sales in Chile are up 4-fold so far in 2018. The Chilean new car market continues to evolve at record heights in 2018, up 12.5% year-on-year in March to 33.355 registrations, a new best for the month lifting the Q1 result up 21.5% to 98.104 units, also a new all-time high eclipsing the previous best of 90.285 established in 2013. SUVs are up 28% to 11.281, pickup trucks up 15.3% to 3.246, light commercials up 12.5% to 5.370 and passenger cars up 1.7% to 13.458. Leader year-to-date, Chevrolet reclaims the monthly top spot off Suzuki in March but trails the market at +8% to 9.6% share above Kia at 8.1% (+2%). Suzuki (+18%) takes the third spot ahead of Nissan (+20%) whereas Hyundai implodes (-16%). Volkswagen (+56%) also frankly beats the market in the Top 10 while below, Proton (+700%), the Chrysler Group (+141%), Mini (+128%), Jaguar (+118%), Honda (+53%), Renault (+42%), Opel (+35%), Lexus (+32%) and Ssangyong (+27%) all impress. Once again Chinese manufacturers post some of the most striking year-on-year gains this month. As such, Maxus (+258%), Dongfeng (+133%), BAIC (+131%), Lifan (+89%), Changan (+63%), ZNA (+45%), the Great Wall Group (+43%) and Foton (+37%) all gallop ahead. All-in-all, Chinese carmaker amount to 11.4% share of the Chilean market in March, up 39% year-on-year, vs. 12.3% so far in 2018 (+59%). Model-wise, the Mitsubishi L-200 remains the best-seller in the country this month with 2.8% share vs. 2.6% YTD, while the Chevrolet Sail climbs four spots on February to #2 ahead of the Kia Rio (+1) and Morning (-2) while the Toyota RAV4 tops the SUV segment at #5 overall. Notice the Chevrolet D-Max up to #10 vs. #17 YTD, the Nissan Kicks up to #14 vs. #20 and the Nissan X-Trail and Kia Frontier both breaking into the Top 20. Full March 2018 Top 50 brands and Top 20 models below.